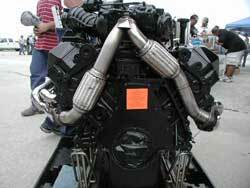 We specialize in diesel performance and and diesel engine maintenance and repair, and we install and tune parts by Powerstroke, Cummins and Duramax for Chevy LB7, Chevy LBZ, Chevy LLY, Dodge 12 valve, Dodge 24 valve, Ford 6.0, and Ford 7.3 diesel trucks. We also provide performance customizations for Yamaha Rhino Side x Side off-road vehicles! And we continue to provide fleet vehicle maintenance services, and preventive maintenance of fleet vehicles and machinery, including dump trucks, 1/2 ton, 3/4 ton, and 1 ton diesel trucks and chippers. At this time, while building our new location, our performance parts are available only for in-house builds. Learn more about our Fuel Saving Strategies! We are now offering deep cryogenic tempering for maximum performance and durability on engines, transmissions, axles and suspension parts. 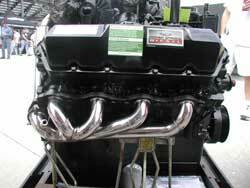 We are now offering headers for the 1999 to 2003 FORD 7.3 POWER STROKE. Read more. Thank you for visiting our new site. Be sure to have a look at our gallery of project images and at our diesel performance and Rhino performance sections. And check out the new items for sale in the yard! Copyright © 2007-2013 by Ron's Truck and Auto, All Rights Reserved.